late 4th–first half of 3rd century B.C. 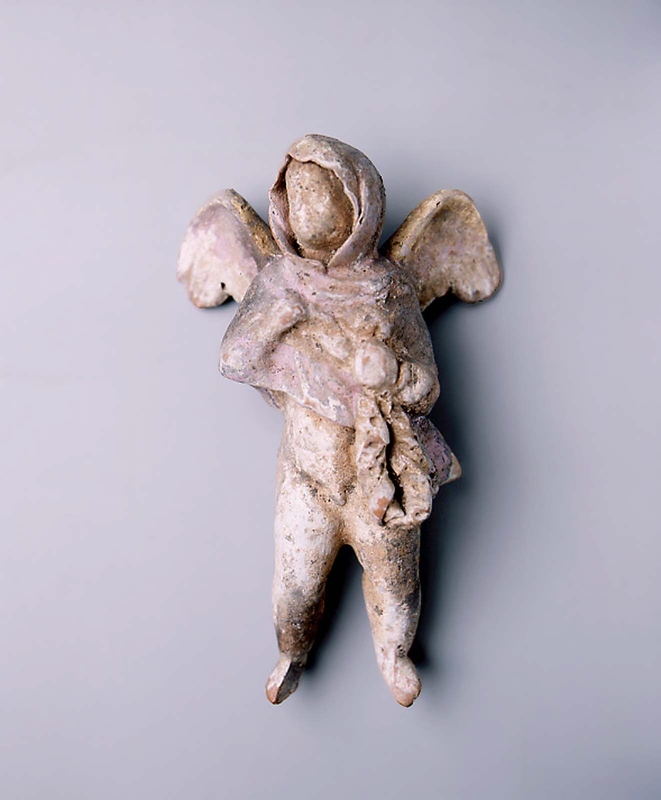 Statuette of winged baby wearing a cloak carried over his head. He holds a wreath in his left hand. Cloak pink, wings pink, white and gold. Half of the right foot is missing. Objects in the MFA from the Tomb of the Erotes include 97.290-97.345, 98.790-98.794, 98.798, 98.893, 99.438, and 21.1213. On the backs of some figures, remains of plaster with the impression of string make it clear that the winged figures were suspended.